So much going on - Stop staring and start sewing! It's been a crazy week and I'm so grateful to all of you who have bought my Edith Skirt pattern! I have received some really nice notes and it's such a relief to know it's easy to understand. I'm thinking of starting a Flickr group just to see what everyone does with it. 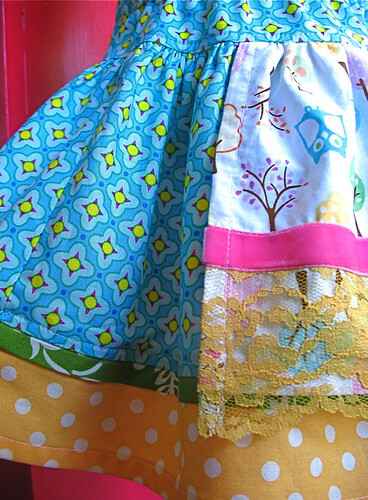 My friend Marie did a whole post on it over at her blog and her little girl's skirt turned out beautifully! Marie was one of my pattern testers and she did a great job helping me fine tune my instructions. I finally got a chance to try a pattern that I've had for months. Beki did a post on the Simplicity 4589 pattern and I knew it was time to just do it (so I washed my fabric and let it sit on my table for a month and a half). 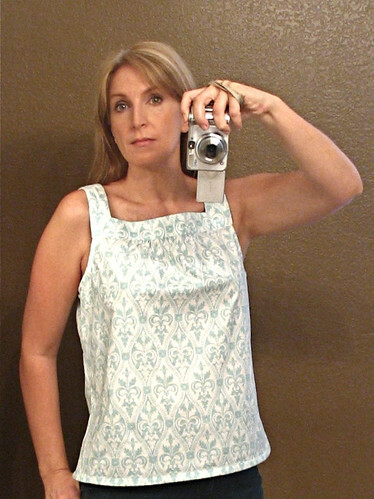 I tried it first with this great Ava Rose fabric (feminine without being too froofy). I like it but it's a little more billowy than I like, partly due to the stiffness of the fabric I'm sure. I'll definitely be wearing this shirt a lot since we have at least 2 more months of heat here in Arizona (but it's a dry heat, blah, blah, blah). So I tried it again using a drapier fabric and I'm so happy that I finally had a chance to redeem this fabric (I've never worn this top made from it and I had just enough fabric left) because I really like the colors. 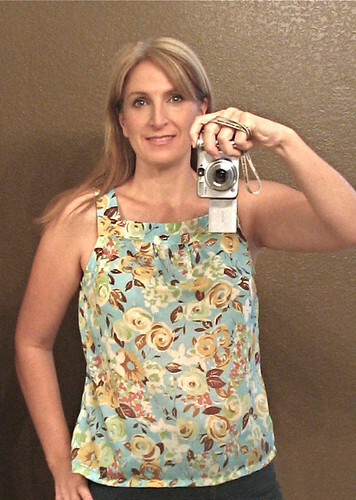 I took the pattern in at the sides (I had already added 1.5 inches to the length at the waist) and took the yoke it a little too for better bra strap coverage. I've been wearing it all day and it's perfect for summertime. The picture looks a little frumpy (and what's with the chub on my upper arms?) but it's actually a lean looking top and I love the squared neckline. Oh, and it's super fast sewing. I made two in just a few hours. Thank you all so much for the well wishes on our little guy's arm. 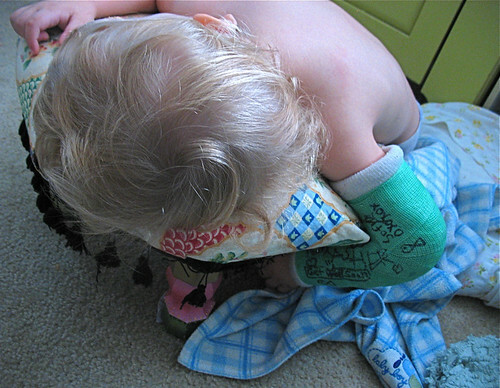 He has a nifty green cast (only because "grime" wasn't a color option) and today we got the news that his bone is healing just fine so no surgery needed (whew!). We've all been bending over backwards to make sure he's plenty comfortable. Too comfortable. He zonked out slumped over a stool while watching his morning shows yesterday (you know, the Wall Street Journal Report, stuff like that) and it was really cute. Zzzzzzzzzzz. We are making progress on my next pattern and hope to crank some paper patterns out before long. Here's a sneak peak on the next one. It takes a lot less fabric than the Edith skirt and I'll try to throw in some extra goodies with this one too. Fun!